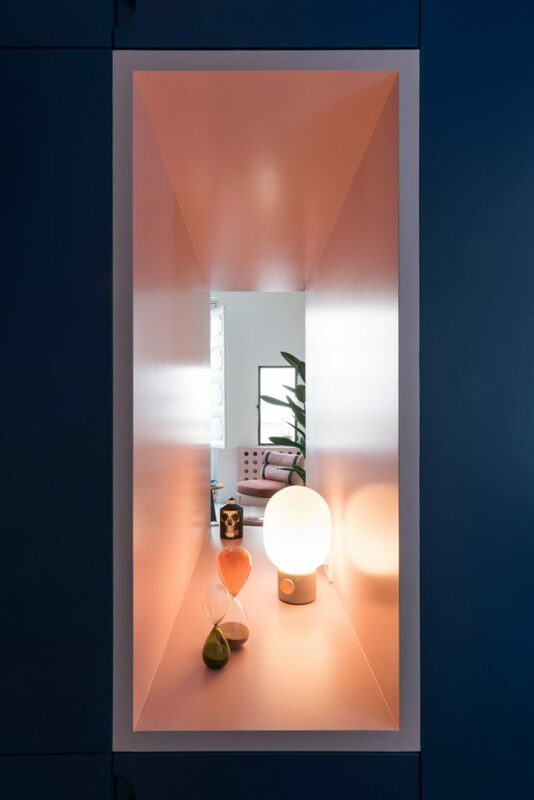 After a couple of weeks of absence from the blog, I return with a new home tour that will leave you speechless. 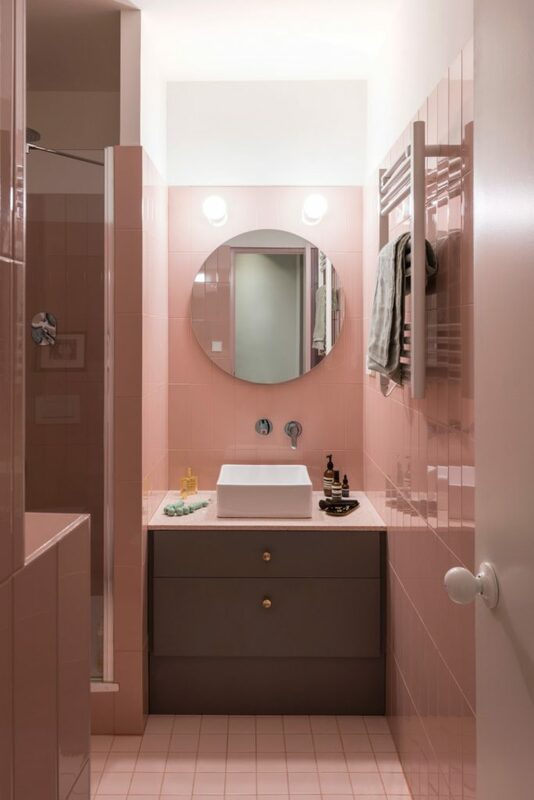 I fell in love with the project as soon as I saw the first images, shared on Facebook by a university mate who is also the owner of the house. 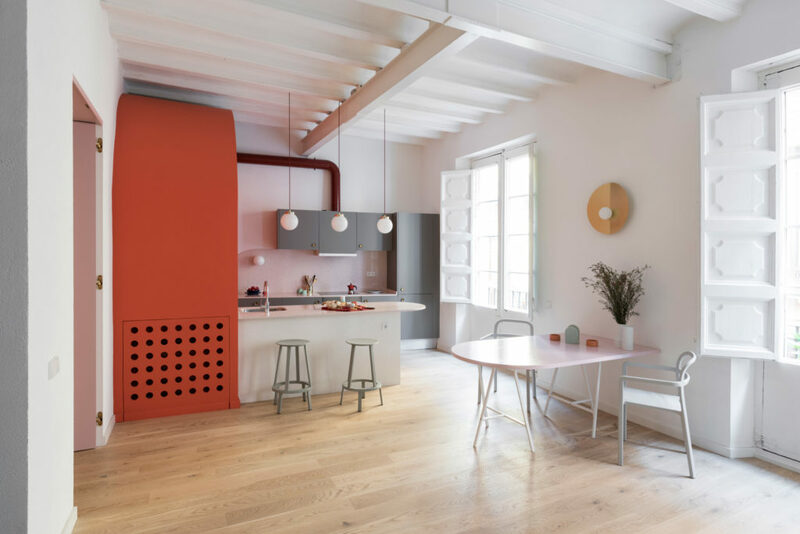 The renovation of the house, located in the Born district of Barcelona in a 13th century building, has been entrusted to Colombo and Serboli Architecture. 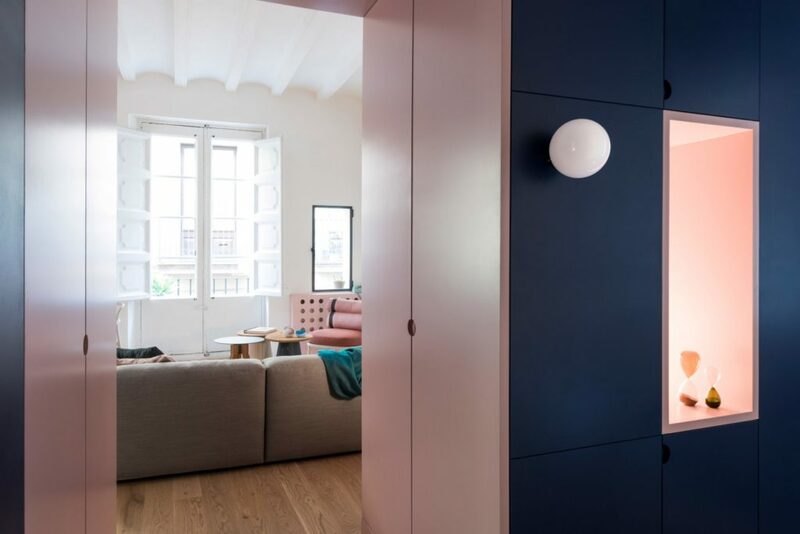 The project was aimed at transforming the 65 square meters of the original apartment, dark and with an “old” division of space, in an open and airy space, also bringing to light the original elements of the house, like the 4-meter ceilings, the beams, the “Catalan” vaults and the original window frames. 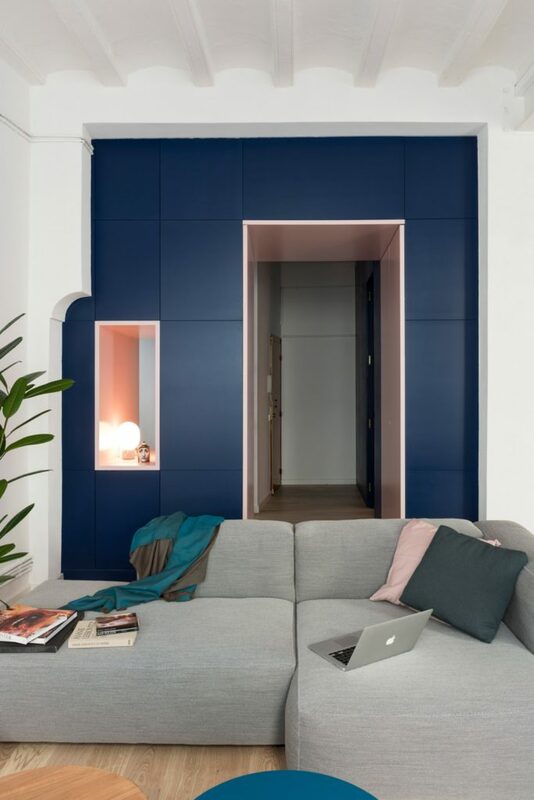 The project is distinguished in particular by two elements, created to meet the needs of the customer. 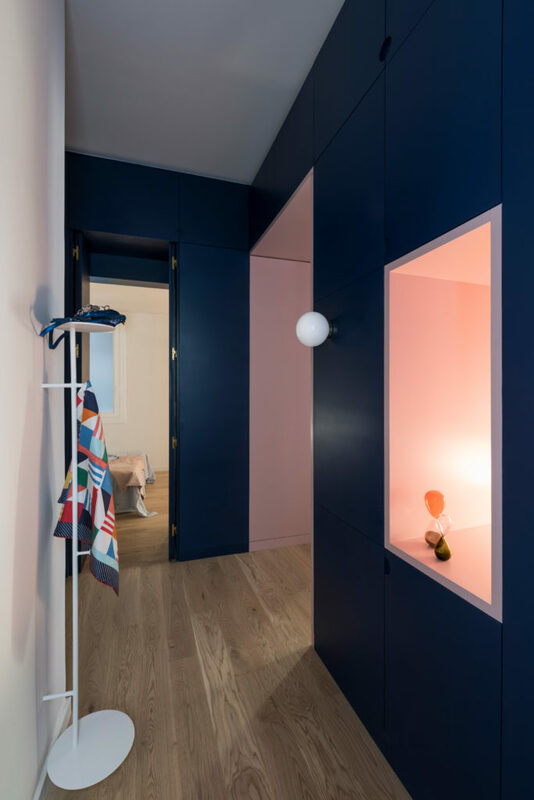 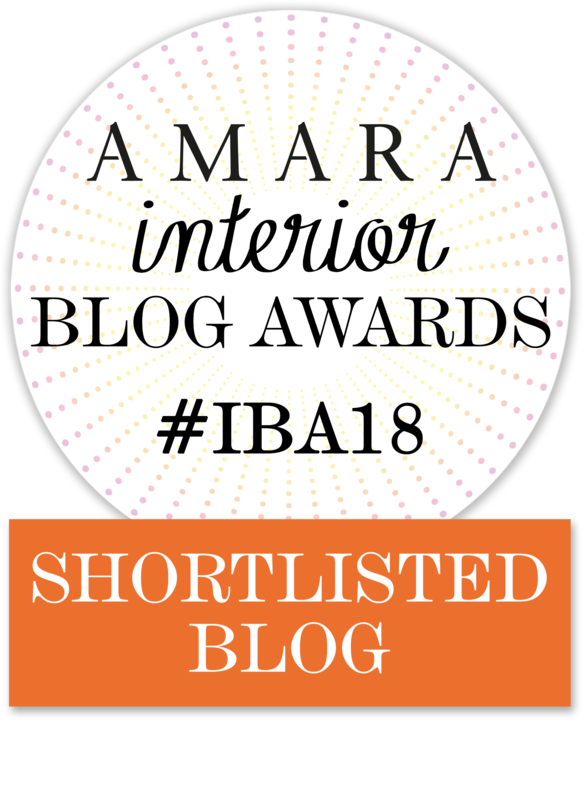 The first is a large wall-wardrobe that separates the entrance and the sleeping area from the large living room, transforming the entrance into a camouflaged walk-in closet which is characterized by its intense blue color (with pale pink niches). 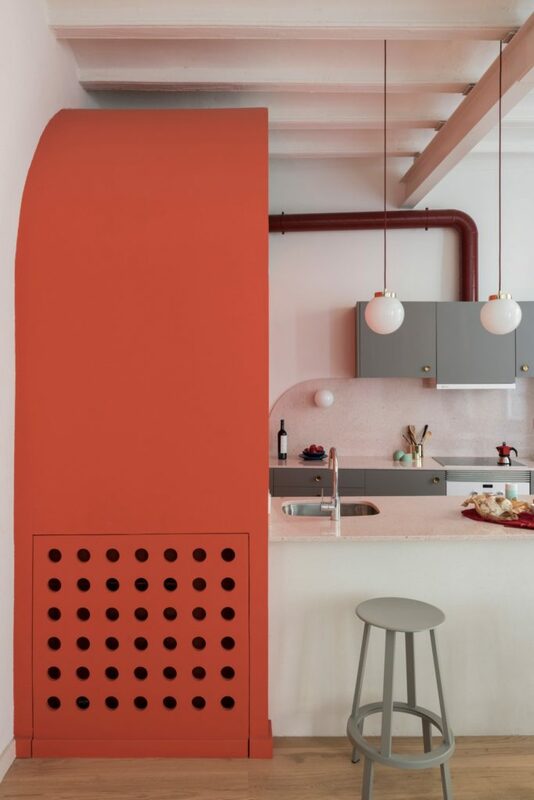 The second element is located in the living room and is a volume in the shape of a coral arch that hides a toilet. 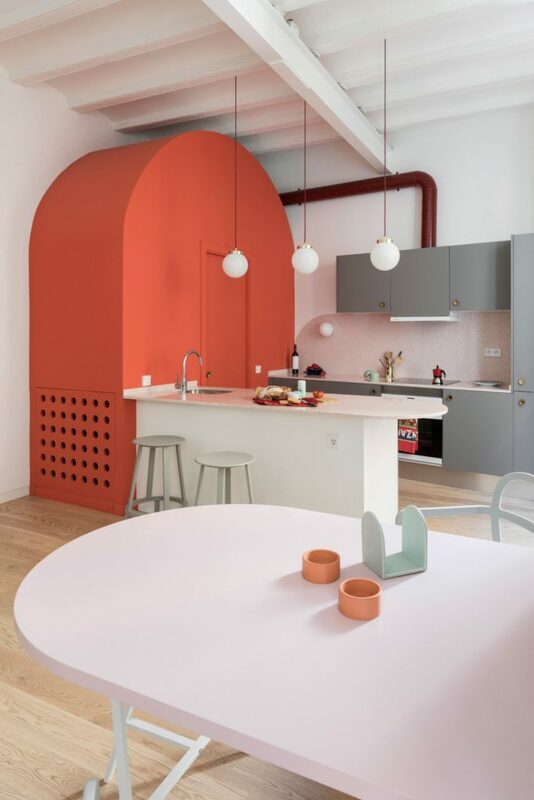 The architects have chosen this original shape to not visually ruin, with a full height volume, the height and width of the livingroom. 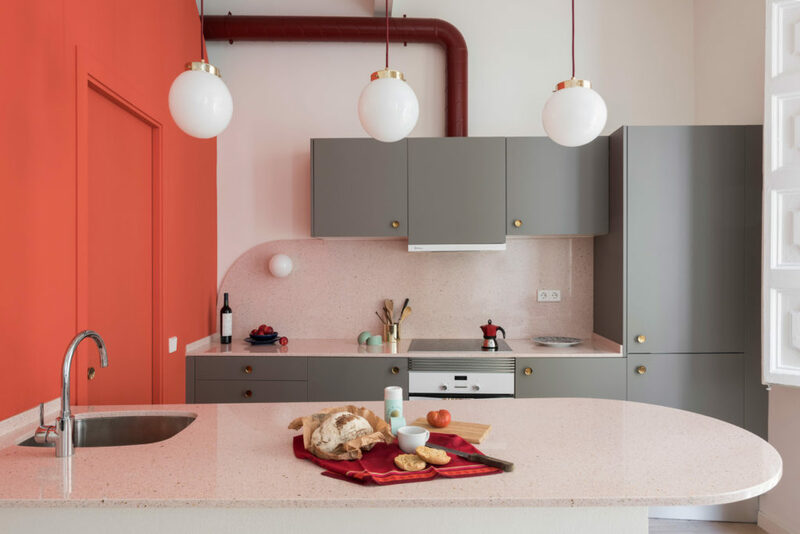 Color plays a fundamental role in this project and the mix of colors, ranging from blue to pink, from gray to coral, is original and perfectly successful. 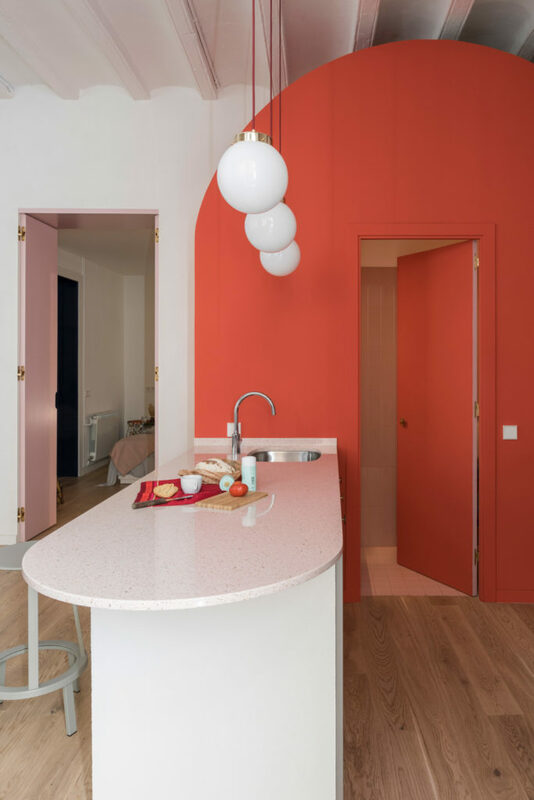 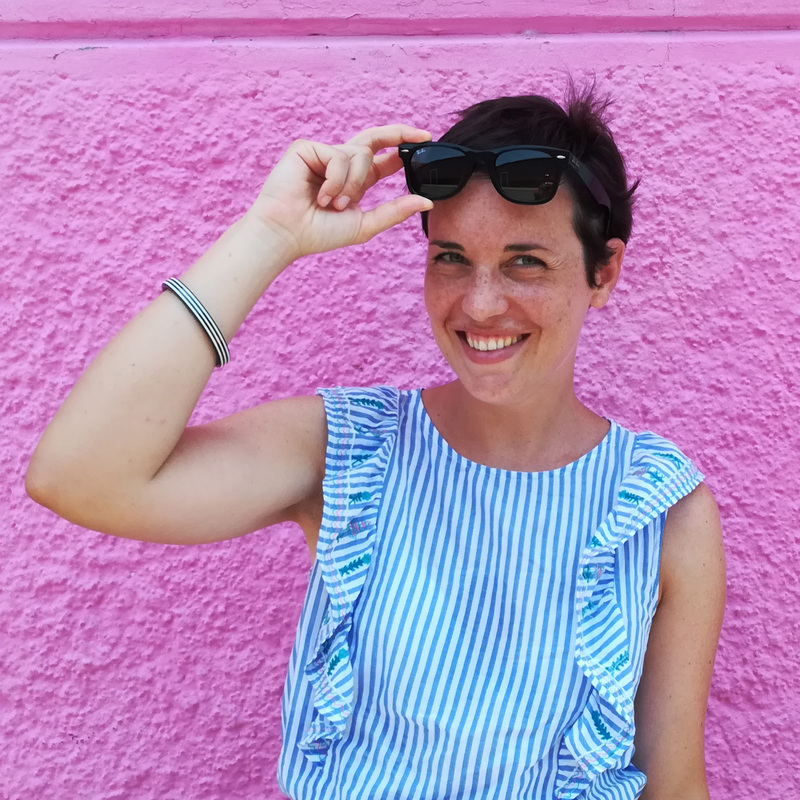 The color, in addition to highlighting the two characteristic elements of the house, is used in the furnishing and helps to create a colorful and lively environment like the Catalan city. 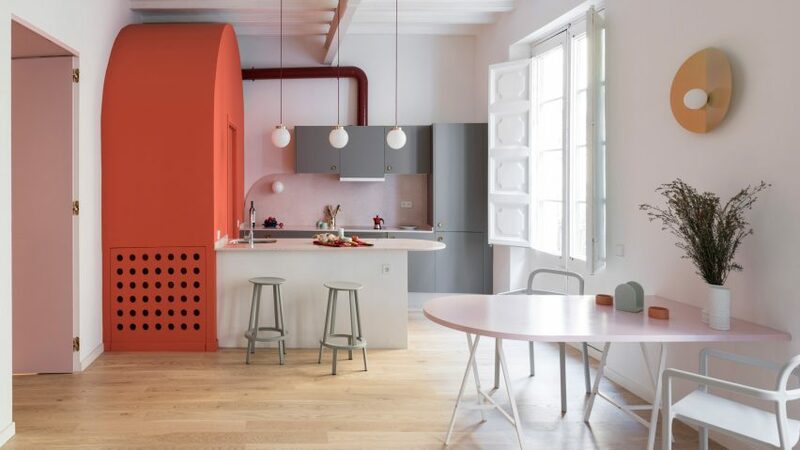 The walls are left white to contribute, together with the light wood floor, to give brightness to the house. 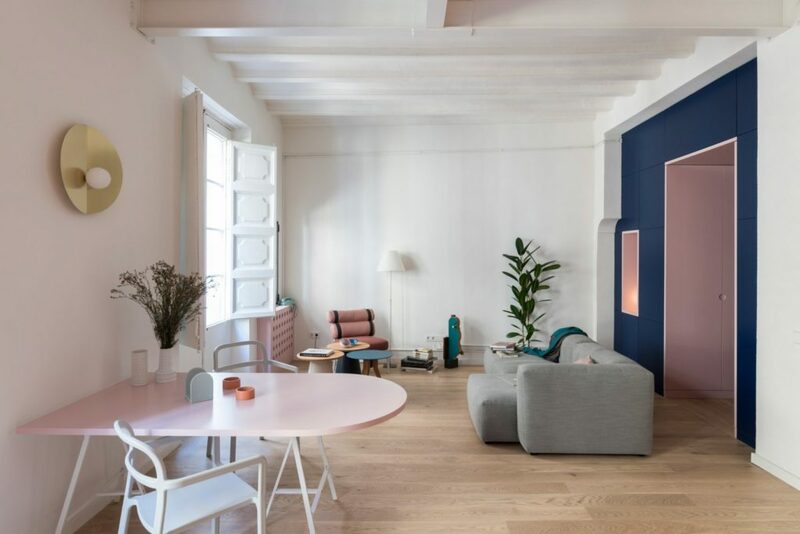 Much attention has also been paid to the choice of furnishings: the Mags sofa by Hay and the Roll Club Chair by Kettal dominate the living area, together with the Cala and Vieques tables of the same brand and the Costanza lamp by Luceplan. 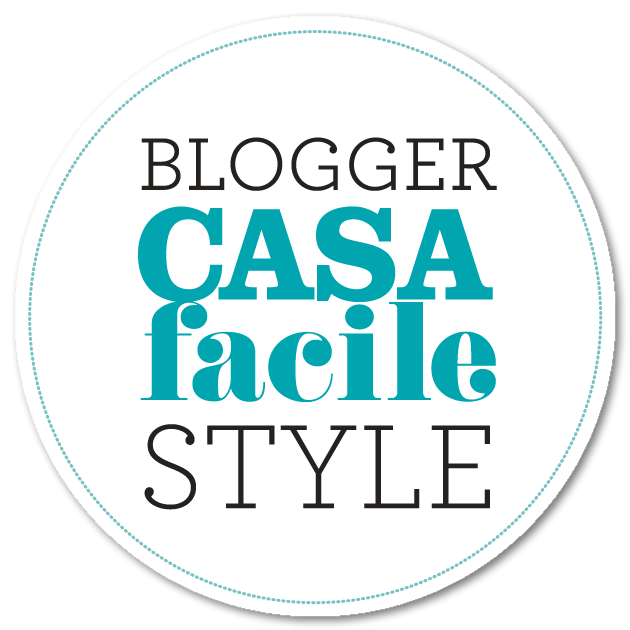 Project and styling by CaSA.